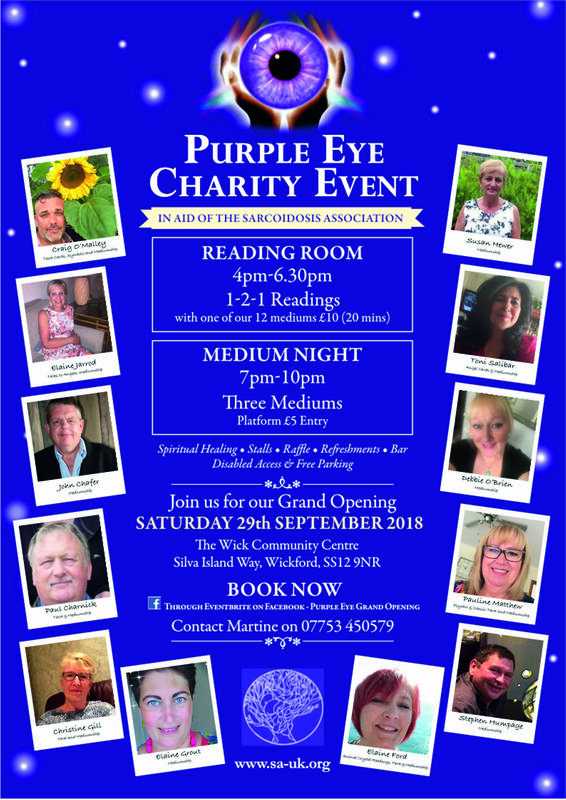 Sarcoidosis Association proudly presents Purple Eye. Both Martine and Adrian are very spiritual people. On 29th September 2018 they are launching their Grand opening Medium Night. From 4pm entry to the public will be free. You will be able to enjoy private 121 readings, spiritual healing, browse through stalls and enjoy refreshments. From 7pm we have 3 talented platform mediums. Entry is £5 per person on the door. You can buy entry tickets online via Eventbrite, (£6) by clicking here.